2015 BMW F 700 GS. Picture credits - BMW. Submit more pictures. GS feeling everywhere: the new design of the windshield and dial faces and the smoke-tinted turn indicators and LED rear light give the F 700 GS the grown-up look it deserves. The three colour variants offer something for everyone: muted Red Apple Metallic, masculine Ostra Grey metallic matt and dynamic Glacier Silver metallic. Ask questions Join the 15 BMW F 700 GS discussion group or the general BMW discussion group. Bikez.com has a discussion group for every motorcycle. Here you may find answers to common questions about the model. If you do not find what you are looking for, you can ask questions. 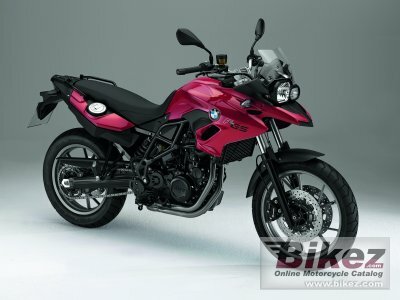 Try out the 2015 BMW F 700 GS discussion forum. You can sign up for e-mail notifications when other users answer you. If you have information about any technical issue related to this motorcycle, please leave a comment for other riders.